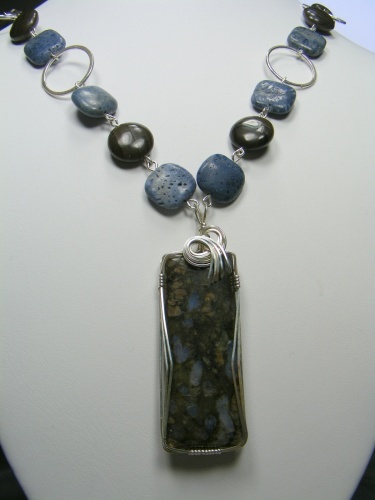 This beautiful necklace is very different with its blue coral square beads and coffe jasper disc beads. Enhanced with sterling silver hammered rings and a focal of jasper sculpted in sterling silver curls. Comes with complimentary matching earrings. Has a sterling silver locking clasp. Measures 20" long.